WVCGG is an open and transparent community group. Membership is open to any resident of West Vancouver eligible to vote in civic elections by simply completing an application and submitting the require fee. Your participation is sought and welcomed. 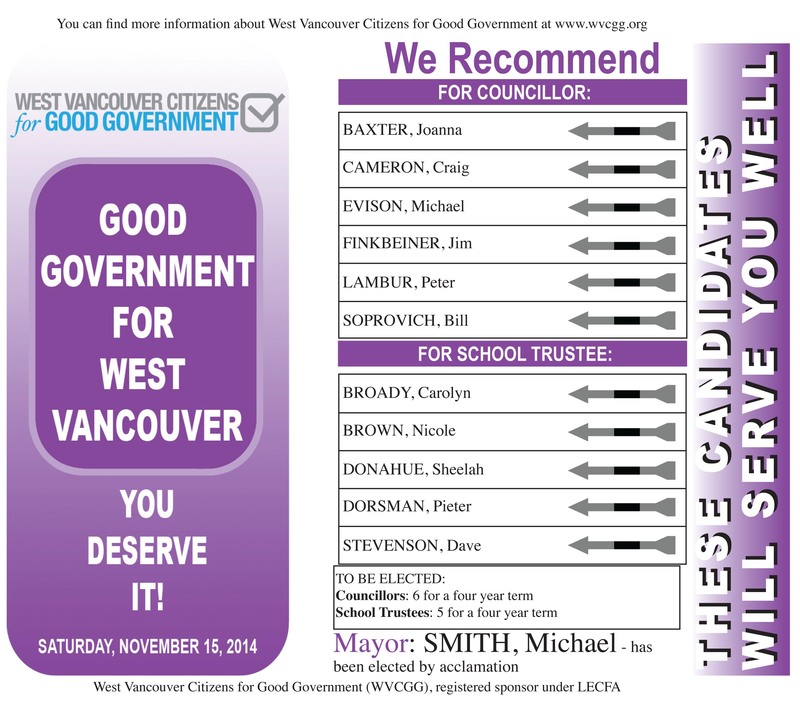 Please join and support good governance in West Vancouver. A membership term covers one election cycle and expires prior to the next election. A General Meeting is held approximately five months prior to a civic election at which time directors are elected. To vote at the Endorsation Meeting, one must be a member seven days prior to the Endorsation meeting and be present to vote. Voting by proxy is not permitted. Fees are used to cover costs of meetings and endorsation announcements. Financial reports are provided at the General Meetings.